MANILA, Philippines - Filipino celebrity couples and loveteams are also taking part on the worldwide ALS ice bucket challenge craze. Over the past weeks, it became viral on different social media platforms. TheSummitExpress has compiled here the top 8 celebrity couples from ABS-CBN, GMA-7 and TV5 who have accepted the challenge. The ice bucket challenge which aim to raise awareness about the amyotrophic lateral sclerosis (ALS), generally has participants recording themselves getting poured with ice water on the head. The video is supposed to be published online within 24 hours of being challenged. Before getting drenched, a participant can tag other people to take up the challenge. Those who refuse to do the dare are expected to donate to the ALS Association in the United States, or any foundation pursuing research on the disease. 1. Daniel Padilla and Kathryn Bernardo (Kathniel) - They have accepted the challenge of Darla Sauler and nominated celebrity couple Robin Padilla and Mariel Rodriguez, Angelica Panganiban and John Lloyd Cruz, Bea Alonzo and Zanjoe Marudo and Mr. Ben Chan (Bench). 2. Dingdong Dantes and Marian Rivera (DongYan) - The newly engaged couple did the ALS ice bucket challenge after being nominated by fellow Kapuso star Julie Anne San Jose. "I hope that the ultimate purpose of this campaign will reach its goal," Dingdong said. He nominated Hollywood actor Hugh Jackman, and senator Bam Aquino, TV host Vic Sotto, GMA-7 actor Rodjun Cruz, and Marian's friends Ana Feleo and Roxanne Barcelo to do the challenge. 3. Luis Manzano and Angel Locsin - The couple took the ice bucket challenge hours after being nominated by Anne Curtis. 4. Zanjoe Marudo and Bea Alonzo - The couple took the ice bucket challenge only hours after they were nominated by onscreen sweethearts Kathryn Bernardo and Daniel Padilla. 5. 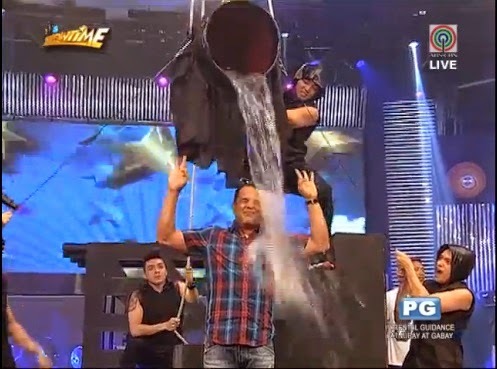 Billy Crawford and Coleen Garcia - The It's Showtime hosts - couple join ALS ice bucket challenge craze after being nominated by the noontime show director Bobet Vidanes. After performing the challenge, Garcia and Crawford nominated their "Showtime" co-hosts Vhong Navarro, Anne Curtis and Karylle. 7. James Reid and Nadine Lustre - The "Talk Back and You're Dead" stars took the dare while on stage at the activity area of Market! Market! mall in Taguig, with hundreds of onlookers cheering them on. 8. Robin Padilla and Mariel Rodriguez - The couple from the Kapatid Network joined ALS ice bucket challenge after being nominated by Kathryn. 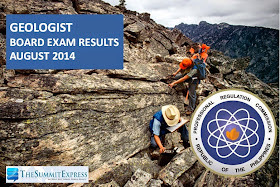 Those awaiting results of August 2014 Geologist board exam may find here complete list of passers, top 10 (topnotchers), top performing schools and performance of schools as the Professional Regulation Commission (PRC) and the Board of Geology released results in 3 working days after the exam. PRC on Tuesday announced that 125 out of 234 passed the Geologist Licensure Examination. Examination was given in Manila on August 26-28, 2014 The members of the Board of Geology are Emmanuel V. Tamesis, Chairman; Rudy C. Obial and Francisco A. Navarro, Members. Registration for the issuance of Professional Identification Card (ID) and Certificate of Registration will be on September 8, 2014. Those who will register are required to bring the following: duly accomplished Oath Form or Panunumpa ng Propesyonal, current Community Tax Certificate (cedula), 1 piece passport size picture (colored with white background and complete nametag), 2 sets of metered documentary stamps and 1 short brown envelope with name and profession; and to pay the Initial Registration Fee of P600 and Annual Registration Fee of P450 for 2014-2017. Successful examinees should personally register and sign in the Roster of Registered Professionals. The examination covers the following major subjects: general geology, petrology, mineralogy and applied geology. In August 2013 Geologist exam, results were released in five (5) working days from the last day of examination. 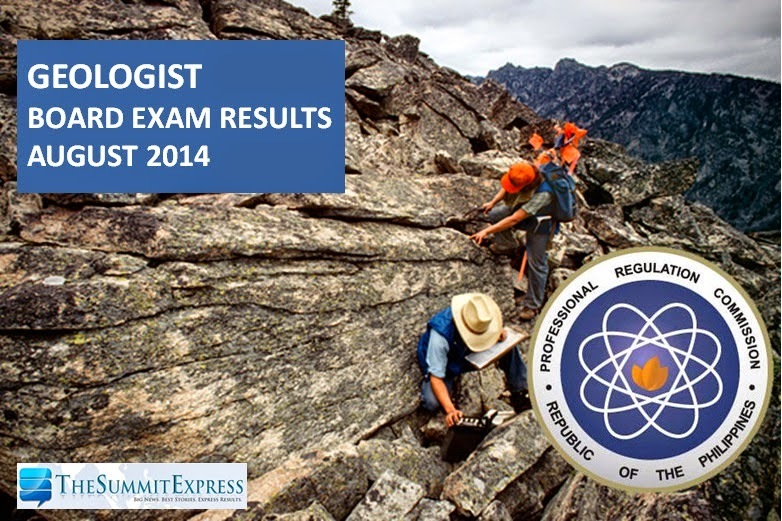 PRC announced that 113 out of 195 passed the Geologist Licensure Examination. University of the Philippines (UP) - Diliman was the only top performing school acording to PRC, 94.12 passing percentage. Aside from the full results, the schedule of registration for the issuance of Professional Identification Card (ID) and Certificate of Registration will be announced by PRC. Those who will register are expeted to bring the following: duly accomplished Oath Form or Panunumpa ng Propesyonal, current Community Tax Certificate (cedula), 1 piece passport size picture (colored with white background and complete name tag), 2 sets of metered documentarystamps and 1 short brown envelope with name and profession and to pay the Initial Registration Fee of P600 and Annual Registration Fee of P450. Like Us on Facebook or Follow Us on Twitter to receive updates related to Geologist board exam. Those awaiting results of August 2014 Sanitary Engineer board exam may find here complete list of passers, top 10 (topnotchers), top performing schools and performance of schools as the Professional Regulation Commission (PRC) and the Board of Sanitary Engineering released results in 2 working days after the exam. 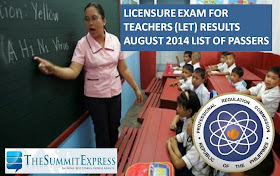 PRC on Monday, September 1, 2014 announces that 106 out of 166 passed the Sanitary Engineer Licensure Examination. Examination was given in Manila last August 26-28, 2014. The members of the Board of Sanitary Engineering are Engr. Corazon De los Reyes-Romero, Chairman; Engr. Alfredo B. Espino and Engr. Florimond M.Lara, Members. The licensure examinations cover the following major subjects: environmental engineering and public health engineering (August 26); sanitary science as applied to buildings and civil engineering (August 27); and waste water engineering and water supply engineering (August 28). In September 2013 Sanitary Engineer board exam, results were released in two (2) working days from the last day of examination. PRC named 86 out of 133 who passed the Sanitary Engineer board exam. Batangas State University (BatSU) was named top performing school for having 100% passing percentage. Schedule of registration for the issuance of Professional Identification Card (ID) and Certificate of Registration will be on September 8, 2014. Those who will register are required to bring the following: duly accomplished Oath Form or Panunumpa ng Propesyonal, current Community Tax Certificate (cedula), 1 piece passport size picture (colored with white background and complete name tag), 2 sets of metered documentary stamps and 1 short brown envelope with name and profession and to pay the Initial Registration Fee of P600 and Annual Registration Fee of P450 for 2014-2017. Successful examinees should personally register and sign in the Roster of Registered Professionals. The date and venue for the oathtaking ceremony of the successful examinees in the said examination WILL BE ANNOUNCED LATER, PRC said. Like Us on Facebook or Follow Us on Twitter to receive updates related to Sanitary Engineering board exam. The Philippine national men’s basketball team Gilas Pilipinas made a blazing return to the world competition, almost pulling off a shocking upset versus heavily favored Croatia before falling just short, 81-78 in an overtime game of the FIBA World Cup in Seville, Spain on Saturday, August 30, 2014. The official Youtube account of FIBA has released the full video highlights of the exciting Game 1 between Gilas Pilipinas and Croatia. The 2014 FIBA Basketball World Cup will take place in Spain from August 30 - September 14 and will feature the best international players. Ice Bucket Challenge Fails: Too Funny Not To Share! 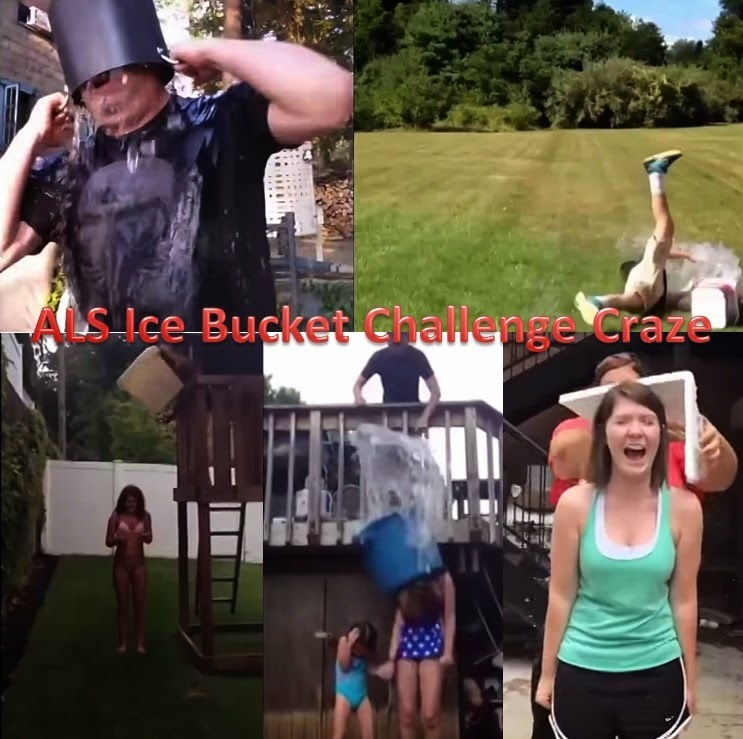 Recently, the Ice Bucket Challenge is sweeping the internet. From former US President George W. Bush to tech titans Bill Gates and Mark Zuckerberg as well as celebrities and sports stars, everyone seems to be taking on the Ice Bucket Challenge. While it is for a good cause, which is to raise awareness for Lou Gehrig’s disease, not everyone apparently can pull off the Ice Bucket Challenge. Watch this video and witness the many funny attempts at doing the challenge. Share and challenge your friends not to laugh while watching this compilation of the funniest Ice Bucket Challenge attempts. Manila, Philippines - Croatian national basketball team has defeated Gilas Pilipinas, 81-78 at the FIBA World Cup round 1 game on Saturday, August 30, 2014 with live telecast from Seville, Spain. The Philippine team was not able to exceed expectations due to the much tougher competition against Croatia in the overtime round. Andray Blatche led the way with 28 points for the Philippines. Croatian superstar Bogdan Bogdanovic, who finished with 27 points, scored two free throws to break the game's final deadlock. Philippines within one, 78-79, with 5.6 ticks left in the overtime round. Croatia hits free throws for an 81-78 lead with 6.1 ticks left. Philippines hanging tough, just trails by two, 69-71, with 1:35 remaining. Castro rattles in floater to tie the game at 71. However, Chan has missed game-winning trey to push for an overtime. Bogdanovic has scored easy two to open 5-minute overtime, 73-71. Blatche lost the ball, but Croatia also muffed it as the game tied on 73. Bogdanovic hits free throws; Croatia on top, 77-75, with 41 ticks left in the overtime. Philippines forces charge with the chance to tie the game with 3:36 left in the fourth quarter. Andray Blatche buries triple to achieved 64-all. Jeff Chan makes three free throws as Philippines takes the lead, 67-66, with 2:49 left. 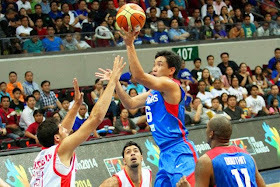 Ranidel de Ocampo opened the fourth quarter for Gilas as he sank trey for 52-57. Chan fakes off defender and buries a booming triple, 34-37, early in third quarter. Croatia sinks technical free throws, then a triple to end third quarter. The first quarter has ended with Croatia leading by 14 points against Philippines, 23-9. A big leap on scores was achieved by Gilas at the end of second quarter, 37-31 in favor of Croatia. The end of third quarter gave hope with Croatia leading by 8 points, 57-49. After the Croatia match, Gilas Pilipinas will next take on Greece on Sunday (August 31) at 2 p.m. before the Filipinos collide with the Argentina side at 11:30 p.m., also tomorrow. The Croatian team is a young squad with only one player at least age 30. The team also has six players who are at least 6-foot-10, including 7-foot-2 giant Ante Tomic. Meanwhile, Smart Gilas roster is composed of Jimmy Alapag, LA Tenorio, Jayson Castro, Paul Lee, Gary David, Gabe Norwood, Jeff Chan, Japeth Aguilar, Ranidel de Ocampo, Junemar Fajardo, Marc Pingris and naturalized center Andray Blatche. The game on Saturday marks the country's return to the world championships, 36 years after it last competed in the 1978 FIBA Worlds. 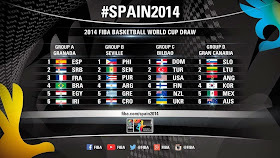 Manila, Philippines - TV5 airs the live telecast of the 2014 FIBA World Cup, the biggest international basketball event hosted by Spain today, August 30 until September 14, 2014. Free livestream video feed of the 17th edition of FIBA World is now available online. TV5 starts its telecast of basketball games at 6:30 tonight with the Gilas Pilipinas vs. Croatia to be held in Palacio Municipal de Deportes San Pablo, Seville, Spain. 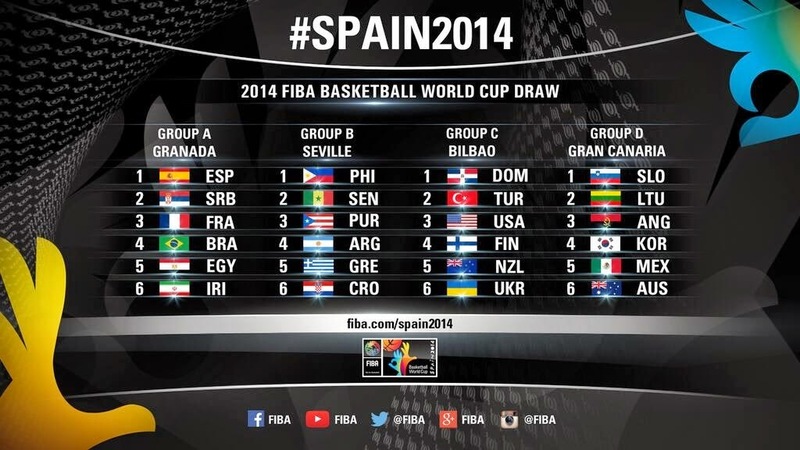 Aside from Croatia, the Philippines is bracketed in Group B in the FIBA World Cup with Senegal, Puerto Rico, Argentina and Greece. 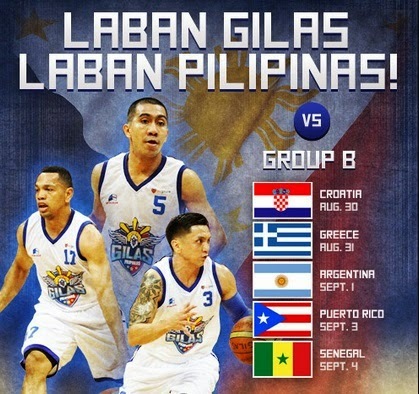 After the Croatia match, Gilas Pilipinas will next take on Greece on September 1. It will be aired starting at 2 a.m. before the Filipinos collide with the Argentina side at 11:30 p.m., also tomorrow. Gilas goes up versus Puerto Rico on September 3 at 7:30 p.m. before rounding up its prelims assignment against Senegal on Sept. 4 at 8 p.m. The Philippine pride Smart Gilas roster is composed of Jimmy Alapag, LA Tenorio, Jayson Castro, Paul Lee, Gary David, Gabe Norwood, Jeff Chan, Japeth Aguilar, Ranidel de Ocampo, Junemar Fajardo, Marc Pingris and naturalized center Andray Blatche. The Philippines last participation in the FIBA Basketball World Cup was in 1978 having 3rd place as the best result in the history of the FIBA. Sports5 will now have the rights to broadcast live all the games of Gilas, either on TV5 or its sister channel on the UHF band AksyonTV 41, for the duration of the Spain showpiece. Replays of FIBA World Cup 2014 are available on AksyonTV (on UHF free TV Channel 41 in Metro Manila, Channel 29 in Metro Cebu and Metro Davao), on cable Channel 59 on SkyCable, Channel 78 on Destiny Cable, and Channel 1 on Cignal Digital TV. MANILA, Philippines - The Movie and Television Review and Classification Board (MTRCB) summoned comedian Vice Ganda and staff of ABS-CBN shows “It's Showtime” and “Gandang Gabi Vice” (GGV) due to several complaints the agency has received during the past weeks. MTRCB has ordered ABS-CBN to undergo "remedial and self-regulatory measures" for three months in relation to insulting scenes and words with double meaning on the two shows. MTRCB on its Twitter account said that the 'armpit' humor which was aired live on July 28 is allegedly offensive, demeaning and not fit for very young viewers. In the said episode, Vice Ganda wiped his sweaty armpits with a towel and used that on the face of one of the show’s male dancers codenamed 'Toyotot' during the “Gandang Lalake” portion of the show. MTRCB calls Gandang Gabi Vice for mandatory conference on alleged "double meaning" language. In the August 3 episode of GGV, Vice had actor Piolo Pascual and his assistant Moi Bien as guests. There were instances he used words that were either inappropriate or had double meaning. In connection with this, the MTRCB has ordered ABS-CBN to no longer accommodate minors in the audience of "Gandang Gabi Vice," which airs taped episodes on Sundays. The MTRCB also recommended that Vice Ganda and the staff of both programs should undergo a seminar about audience and child sensitivity. ABS-CBN business unit head Reily Santiago accepted that they had a lapse on self-regulation and has apologized to those who may have been offended by Vice’s action on the show. Meanwhile, ABS-CBN has assured MTRCB of its cooperation for the benefit of its audience as they are scheduled to submit self-regulatory recommendations on September 1. The MTRCB earlier had Vice Ganda and ABS-CBN staff attend a dialogue with the Ateneo Human Rights Center and the National Counfil for Children's Television. MANILA, Philippines - Megastar Sharon Cuneta is no longer part of the Kapatid Network TV5 as she has announced late Friday through her Facebook and Twitter accounts. In a series of post on Twitter, Cuneta said: "I am going to drop clues every now and then as to the things I will be working on which will start sooner than you think!. So keep watching out for those clues. Goodnight, everyone! Sweet dreams and May God bless you always!" The announcement of the veteran actress came 12 days after she posted an open letter on her Facebook page in which she apologized to her fans for “mistakes that have affected all that I have worked for, bled for over the past thirty-six years”, not least of which was her failure to curb her weight problems. "I just do not like being big and fat because of the demands of this industry I move around in. And also, I have always enjoyed wearing my kind of clothes," she said. Cuneta has promised to “go back to basics in the coming weeks." Meanwhile, the new network and projects of the Megastar are not yet revealed. 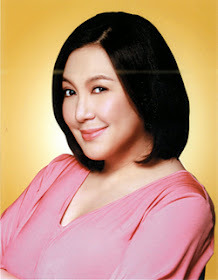 In 2012, Sharon signed the controversial P1-billion contract with the Manny V. Pangilinan-owned TV network. “In my desire to venture into new territory and broaden my world, with the intention of giving you, my fans, supporters, and friends the rest of the best of me that I still had left, I made certain decisions that in the end, turned out to be of the wrong kind,” she said in her lengthy Facebook post. Cuneta starred three shows in TV5 - the talk show “Sharon: Kasama Mo, Kapatid”, the sitcom “Madam Chairman” and the musical variety show “The Mega and the Songwriter” opposite Ogie Alcasid. She also had a co-hosting stint on “Pinoy Explorer”, the travel show hosted by fellow ABS-CBN alumnus Aga Muhlach. Sanrio shocks the world: Hello Kitty is not a cat! Manila, Philippines - "Hello Kitty is not a cat. She's a cartoon character. She is a little girl. She is a friend. But she is not a cat." This is the official statement of Sanrio Inc, the global lifestyle brand that owns icon 'Hello Kitty' which shocked the world today, August 29, 2014 over the unusual news. Filipino netizens react on micro-blogging site Twitter and can't get over with a lie for about 40 years. 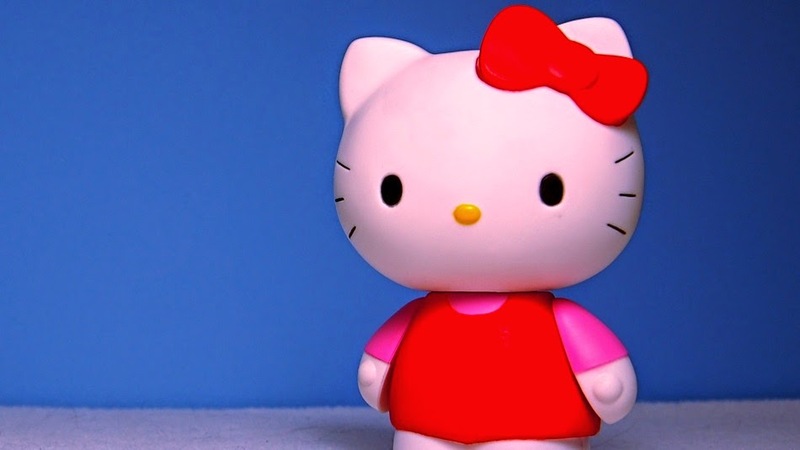 'Hello Kitty' currently dominates online conversations. During an interview with the Los Angeles Times, a Hello Kitty trend expert and anthropologist Christine Yano said she was told sternly not to confuse Hello Kitty with a cat. While preparing a script about Hello Kitty for a big conference, Sanrio set Yano straight. According to LA Times: When Yano was preparing her written texts for the exhibit at the Japanese American National Museum, she says she described Hello Kitty as a cat. "I was corrected — very firmly," she says. "That's one correction Sanrio made for my script for the show. Hello Kitty is not a cat. She's a cartoon character. She is a little girl. She is a friend. But she is not a cat. She's never depicted on all fours. She walks and sits like a two-legged creature. She does have a pet cat of her own, however, and it's called Charmmy Kitty." Yano also revealed that Hello Kitty's real name is "Kitty White," and she is British with a twin sister, according to a backstory Sanrio and the cartoon's creator, Yuko Shimizu, made about her. She's also a perpetual third-grader. "A lot of people don't know the story and a lot don't care. But it's interesting because Hello Kitty emerged in the 1970s, when the Japanese and Japanese women were into Britain. They loved the idea of Britain. It represented the quintessential idealized childhood, almost like a white picket fence. So the biography was created exactly for the tastes of that time." Hello Kitty, the pop icon created to inspire happiness around the world, is kicking off a year of festivities to celebrate her 40th Anniversary. In honor of this occasion, Sanrio will present a world premiere Hello Kitty fan convention in partnership with Target, a first-of-its-kind museum exhibition, unique collaborations and limited edition commemorative products. Hello Kitty will celebrate her anniversary throughout the year with her devoted fans and continue to spread the message of friendship through the global 'Share a Hug with Hello Kitty' campaign. After nine years and six children together, Hollywood celebrities Brad Pitt and Angelina Jolie finally have made it official as they got married. The news has been confirmed with multiple sources and was first reported by the Associated Press (AP). A spokesman for the couple told the AP that they married on Saturday in Chateau Miraval, France. Jolie, 39, and Pitt, 50, wed in a small chapel in a private ceremony attended by family and friends. In advance of the nondenominational civil ceremony, Pitt and Jolie obtained a marriage license from a local California judge. The judge also conducted the ceremony in France. The children of the couple took part in the wedding. Jolie walked the aisle with her eldest sons Maddox and Pax. Zahara and Vivienne threw flower petals. Shiloh and Knox served as ring bearers, the spokesman says. Jolie and Pitt's wedding caps years of rampant speculation on when the couple would officially tie the knot. Pitt once said that he didn't want to marry until gay marriage was legal. They have six children together, including three they adopted: 13-year-old Maddox, from Cambodia; 10-year-old Pax, from Vietnam; and 9-year-old Zahara, from Ethiopia. The couple's three biological children are 8-year-old Shiloh, and Knox and Vivienne, 6-year-old twins. Reports said that this is the second marriage for Pitt, who wed Jennifer Aniston in 2000. They divorced in 2005. Jolie was previously married to British actor Jonny Lee Miller for three years in the late '90s and to Billy Bob Thornton for three years before divorcing in 2003. Both Jolie and Pitt are now preparing for their respective movies. Jolie's second directorial effort, the World War II odyssey "Unbroken," will be released in December. Pitt stars in the upcoming World War II drama "Fury," due out Oct. 17. On Thursday night, Filipino netizens on micro-blogging site Twitter were abuzzed over the details of wedding of #Brangelina. Manila, Philippines - Forbes magazine officially released on Thursday, August 28, the list of the top 50 richest Filipinos for 2014. 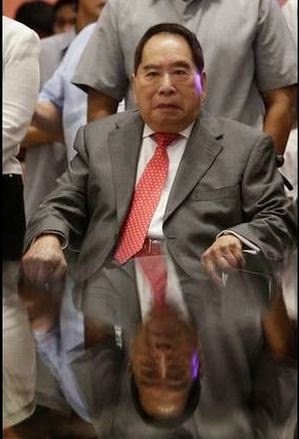 The Forbes' ranking showed that 89-year-old Sy has a net worth of $12.7 billion, which is higher than his $9.3 net worth in 2013. Sy retains top spot for seventh year in a row due to to rising share price for his SM Prime Holdings, country's largest mall operator, and Banco de Oro (BDO), the country’s largest bank in terms of assets. According to the American business magazine, the the country's 50 richest are worth a combined $74 billion, up 12% from $65.8 billion in 2013. The list was compiled using shareholding and financial information obtained from the families and individuals, stock exchanges, analysts and other sources. Net worths are based on stock prices and exchange rates as of close of markets on August 18. The full list is available at www.forbes.com/philippines as well as in the latest issue of Forbes Asia. Manila, Philippines - Senator Sonny Angara accepted the ice bucket challenge not once, but twice on Thursday at the rooftop of the GSIS Building in Pasay City. Some employees of the Senate already dumped him a pail of ice-cold water when members of the press came to cover him. Angara accepted the media’s request to repeat the challenge so they could witness it. Aside from taking the challenge, Angara has filed Rare Diseases Bill which aims to provide patients with rare diseases and their families better access to adequate medical care, health information, and healthcare products needed to treat their condition. A rare disease, also known as orphan disorder, is any health condition resulting from genetic defects that rarely affect the general population. Rare diseases are often chronic, progressive, degenerative, and life-threatening. The amyotrophic lateral sclerosis (ALS) became one of the most popular rare diseases worldwide today, thanks to the ice bucket challenge that aims to raise awareness and funds to help strike out ALS. World Health Organization (WHO) data shows that there are 7,000 known rare diseases. 50 to 70 percent of which affect children while 30 percent of patients die before they reach the age of five. According to the Philippine Society for Orphan Disorders (PSOD), the prevalence of rare diseases in the country is 1:20,000, with 227 patient families in the PSOD registry representing 48 rare disorders as of 2014. Among the most common rare diseases in the Philippines are the maple syrup urine disease with 126 patients listed in PSOD, and the mucopolysaccharidoses II with 49 patients. Since these diseases afflict only a small number of people, there is a lack of health practitioners who are experts in the field, and only a handful of companies manufacture medicines for rare diseases in the country. There is also little government support for patients and research centers for orphan drug development in the Philippines. "Such a situation makes treatment, often life-long, costly and far beyond the reach of most Filipino patients," Angara said. "It should be national policy that the state endeavors toward universal healthcare, even for rare diseases," stressed the lawmaker, who is one of the authors of the Universal Healthcare Act of 2013. Angara's Senate Bill No. 2383 aims to ensure that every patient diagnosed to have a rare disease has access to comprehensive medical care, including drugs and healthcare products, as well as timely health information to help them cope with their condition. It also seeks to create and maintain a Rare Disease Registry that will contain data on rare diseases in the Philippines, patients afflicted with rare diseases, and orphan drugs and products. "This data will be utilized in formulating policies, identifying program interventions and designing researches that will eventually address the needs of patients with rare disease," Angara explained. The proposed measure further seeks to mandate the Philippine Health Insurance Corporation (PhilHealth) to include the cost of treatment of rare diseases in the benefit package, and to direct provisions from the sin taxes collection to cover the cost of care for patients with rare diseases. Senators Pia Cayetano, who lost her youngest son to complications from a rare congenital disease, and Cynthia Villar have also filed similar bills. "Definitely, this ice bucket challenge craze would eventually die down. Looking forward, there is a need to integrate public educational and informational campaigns in the current programs of the Health Department to identify persons afflicted with rare disease and help the public understand the special needs of such persons," Angara said. Aside from accepting the challenge and filing the bill, the senator will also donate US$100 a month for the next year to PSOD. Angara was earlier nominated by Cebu Rep. Luigi Quisumbing, and in turn, he nominated Sen. Cayetano and Gilas Pilipinas Coach Chot Reyes to do the challenge. Manila, Philippines - Host-actress Toni Gonzaga admits that she is now ready to settle down with her seven-year boyfriend Paul Soriano, but denies the rumors they have already engaged. “If he proposes, I will say yes. But as of now, I swear he has not proposed yet. Others think he has,” she says in “Tapatan Ni Tunying” airing on Thursday, August 28, 2014. Meanwhile, her younger sister Alex Gonzaga, who seems to be following Toni’s footsteps in singing, hosting, and acting, says she does not mind being a shadow of her elder sibling. “I wouldn’t be here if it wasn’t for her. But sometimes, yes, I feel sad when my mommy and daddy give her more attention,” she explains. Toni and Alex, who are now seen together via ABS-CBN Mobile’s reality show “Team Gonzaga,” admit that they were not close when they were growing up. “When we were growing up, we didn’t get along well. Whenever I saw her face, i would feel annoyed,” shares Toni. Despite their differences, they have learned to be on each other’s side because of their parents’ prodding. Manila, Philippines - Senator Miriam Defensor Santiago announced on Wednesday that her cancer has regressed and she is now thinking of several career options for the 2016 national elections. The senator said she will run for president, if there are enough "like-minded" supporters for her led by Fr. Joaquin Bernas. In a TV show last Tuesday, Fr. 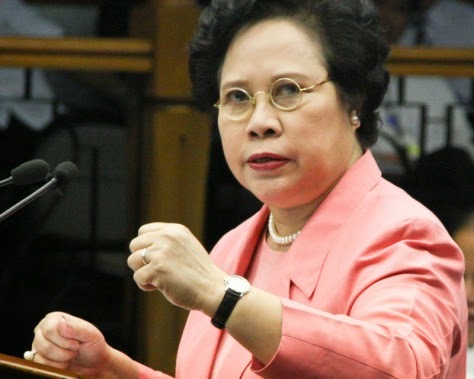 Bernas said that President Aquino should no longer seek a second term and to "give Miriam (Santiago) naman a chance." Bernas is a recognized authority in constitutional law, and was a member of the 1986 Constitutional Convention. Under the 1987 Constitution, the President is limited to a single term of six years. Asked by media to comment, Santiago said: "I have licked cancer, and I'm actually thinking of several career options. By 2016, I will be disqualified by law to seek another term as senator. At present, my life projects include participation in the International Development Law Organization (IDLO) based in Rome, or writing books on foreign policy at the Wilson Center in Washington, D.C.
Last June, oncologists led by world-famous lung cancer specialist Dr. Ronald Natale and Dr. Gary Lorenzo, coordinating with cardiologist and herself a cancer survivor, Dr. Esperanza Cabral, issued a diagnosis on lung cancer, stage 4 (last stage), on Santiago. Santiago was placed on medication called Tarceva (aka Erlotinib) for six weeks, at only one table a day. Last August 12, St. Lukes Medical Center in Bonifacio Global City issued a report on a PET/CT Scan stating that the tumor in Santiago's "left lung has regressed," meaning that it has become smaller. "The latest lab test shows that the cancer cells are waving a white flag. During this time, I only have to work on my stamina. During the six-week period of treatment, I was even able to work on the 2014 editions of some 10 law books which are scheduled for release by the end of the year," she said. "I'm not going to be coy. Society leaders have urged me to seek the presidency. I can rise to the occasion, although I was following the other sign posts on the road to recovery," the senator said. Santiago said that although she has always ran for public office under her own People's Reform Party, this time she will need to coalesce with one or both among the Liberal Party headed by Sec. Abaya, and the Nationalista Party headed by former Sen. Manny Villar. "After I was diagnosed with cancer, Sen. Manny went to my house and told me, among other things, that my popularity level is very high. But he also said that he is encouraging several hopefuls to raise their survey ratings," Santiago said. Santiago quoted from a poem that she recited during the funeral ceremonies for her son who died at 23 years old: "Do not stand at my grave and weep; I am not there. I do not sleep." Manila, Philippines - The Bureau of Customs (BOC) officially released on Wednesday, August 27, the list of qualified applicants for the Customs posts. A total of 5,000 applicants passed the preliminary screening to fill 1,056 vacant positions at the Bureau’s main office and various collection districts throughout the country. The pre-screened applicants comprised of 80% of 6,013 who submitted their application to the BOC. They are required to take the general ability and competency exam to be administered by the Civil Service Commission (CSC) on August 31, 2014 (Sunday). The general ability and competency exam was specially developed by the CSC for the BOC. The test will be administered by the CSC in three locations: in Metro Manila for applicants from the National Capital Region (NCR) and Luzon [note: exact location in Metro Manila to be determined soon]; St. Theresa’s College in Cebu for those in the Visayas; and the University of Mindanao-Matina Campus in Davao for Mindanao applicants. Examinees must be at the testing centers at least one hour before the time of the examination which will begin at exactly 8:00 a.m. on August 31. Many of the applicants who were disqualified either did not have or had the inappropriate civil service eligibility or professional license or credential from the Professional Regulation Commission, Philippine National Police or the Philippine Bar, under the Supreme Court. Other reasons for the disqualification include lack of required relevant working experience or training and failure to indicate choice of position or port/office being applied for and to provide work and training experience or information in the Personal Data Sheet. Several applicants were also disqualified outright for having relatives in the BOC up to the fourth degree of consanguinity. Employees vying for promotion but have been working in the Bureau for less than a year or are in their current positions for less than one year were also excluded. Examinees that pass the first exam will be required to take aptitude and psychometric tests as well as specific exams to further test the qualification and fitness of applicants to perform the duties of the position they are applying for. 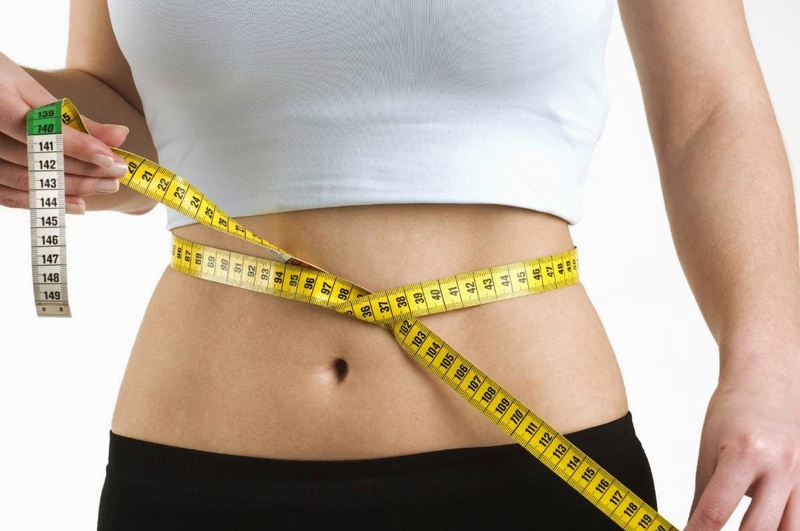 These may include skill-based or physical fitness tests. The list of pre-screened applicants who are required to take the test on August 31 are posted in the website of the Bureau of Customs www.customs.gov.ph; as well as the website and Facebook page of the Department of Finance. The list is also posted at the Collection District Offices of the Bureau of Customs nationwide. 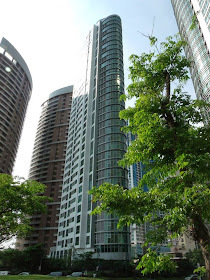 Manila, Philippines - Vista Land, the country's biggest home builder through its development arm Vista Residences officially launched today a premiere property, the Avant Serviced Suites at Bonifacio Global City (BGC) in Taguig City. "Vista Residences develops high rise condominiums in the ideal locations around the metro where accessibility is a must," Nova Noval marketing head of Vista Residences said. The latest addition to Vista Residences' portfolio boasts its offer for short stays and lasting impressions on their services. The company said that Avant Serviced Suites is ideal for travelers for business who want to have luxurious and comfortable stay away from stress of mobility. "This is exactly what Avant Serviced Suites offers - your home away from home and more. Tucked in the most quiet and picturesque corner of the country's blossoming business district, BGC, it promises to make your stay as comfortable and memorable as it can get," Avant Serviced Suites said in a statement. Here are some of the features and amenities of Avant Serviced Suites: rooms are designed with separate living, dining and bedroom areas, has well-equipped kitchen, room interiors with state of the art design, customized service and 24 hour convenience, personalized breakfast and relaxing pool design. "All rooms are donned with wide windows that open to the view of the lush greens that is Manila Golf and Country Club or the beautiful skyline of BGC," Avant added. Room accommodations range from Php7,000 to P12,000 for a Studio Suite, One Bedroom Suite, One Bedroom Premier and Two Bedroom Suite. Avant Serviced Suites is located at the 26th Street corner 3rd Avenue, Crescent Park West in BGC. For inquiries, email servicedsuites@vistaresidences.com.ph or call +632-720-9560. You may also check their website for more details. PRC Baguio Regional Office (BRO) announced the possible release date of August 17, 2014 LET - Licensure Examination for Teachers. The Board for Professional Teachers and the Professional Regulation Commission (PRC) BRO said that exam results will be released after 20 working days. "PRC Regional Director Teofilo Gaius M. Sison, Jr. said the exam results will be released after 20 working days. Examinees can verify their grades/ratings at www.prc.gov.ph by clicking Online Verification of Ratings (OVR), using their Application Number." This means that it is possible that results will be released on the third week of September or between September 15-19, 2014. This is contrary to the usual 30-45 working days release of results for LET. Based from PRC Resolution No. 2013-782 with the original schedule of teachers board exam on the second half the year, target release of results is after 33 working days. The conduct of recent licensure exam in Baguio City was sucessful as the regional office handled thirteen thousand nine hundred ninety-one (13,991) examinees. PRC and regional offices administered board examination in the following testing centers: NCR- Manila, Baguio, Cagayan de Oro, Cebu, Davao, Iloilo, Palawan, Laoag, Legazpi, Lucena, Pagadian, Rosales, Tacloban, Zamboanga, Bacolod, Catanduanes, Masbate City, Catarman, Batanes, Jolo, Sulu, Bongao, Tawi-tawi, Romblon, Puerto Princesa, Palawan, Occidental Mindoro, and Hong Kong. The total number of examinees of August 17, 2014 LET was not announced by PRC before the conduct of exam contrary to the previous exams. A certain percentage of passers for Elementary and Secondary will be announced by the commission in the coming days. PRC said that to pass August 2014 LET, an examinee must obtain an average rating of not less than 75% and must have no rating lower than 50% in any of the test. 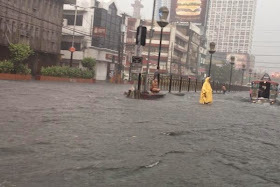 The Metropolitan Manila Development Authority (MMDA) officially released recently the list of 21 of the most flood-prone areas in the Metro Manila. According to MMDA, the said areas have continually experienced extreme flood incidents when rainfall intensity is more than 50 mm/hr. As the rainy season is here and within these six to eight months are tropical cyclones, typhoons and needless to say, heavy rains. 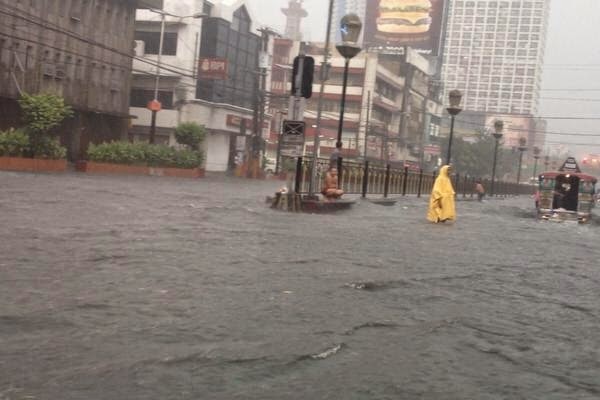 In this scenario, commuters and motorists are badly affected of the flooded streets. The list above shows almost all major roads in Metro Manila. The challenge is either for you to find an alternative route or ride a flood-proof vehicle. 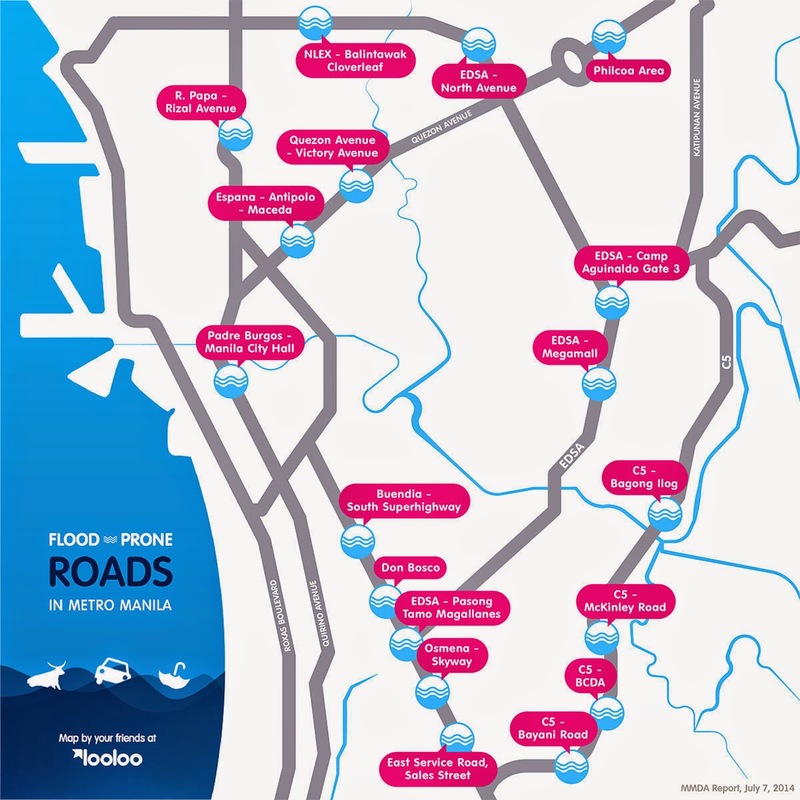 Comment below for your alternative routes as you've experienced the flooding. 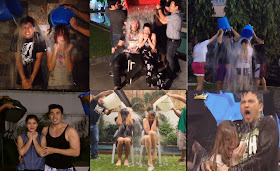 Manila, Philippines - Celebrity couple Billy Crawford and Coleen Garcia accepted the challenge of It's Showtime director Bobet Vidanes to do the worldwide popular ALS ice bucket challenge on Monday, August 25, 2014. Billy promised to donate 100 dollars each, from him and Coleen. Vidanes and comedian Vice Ganda earlier performed the challenge on "It's Showtime." Vice Ganda did the challenge as part of his production number as he performed Katy Perry's "Hot and Cold" before he was poured in with cold water. ALS Ice Bucket Challenge, is an activity involving dumping a bucket of ice water on someone's head to promote awareness of the disease amyotrophic lateral sclerosis (ALS) and encourage donations to research. After doing the challenge, Garcia and Crawford nominated their "Showtime" co-hosts Vhong Navarro, Anne Curtis and Karylle. 'Billy and Coleen' instantly became top trending topic on micro-blogging site Twitter Monday afternoon. Manila, Philippines - Comedian Vice Ganda accepted the challenge of Korina Sanchez, Doris Bigornia and Kris Aquino to take the worldwide popular ALS ice bucket challenge in the last segment of It's Showtime on Monday, August 25, 2014. Unlike in the common ice bucket challenges, Vice Ganda did the challenge as part of his production number. He performed Katy Perry's "Hot and Cold" before he was poured in with cold water. "It po ay ginagawa namin para makapag-spread ng awareness para sa karamdaman na kung tawagin ay ALS. Ito ay isang karamdaman na nakakaapekto sa utak hangggang sa spinal cord. Ito po ay ginagawa upang ipaalam sa buong mundo ang ganitong uri ng karamdaman. Maraming di nakakaalam ng ganitong sakit kaya hanggang ngayon ay di pa nabibigyang lunas," Vice said. After doing the challenge, Vice Ganda dared actors Coco Martin and Richard Yap, as well as "It's Showtime" director Bobet Vidanes, to do the same. He also promised to donate $100 for ALS Foundation. Vidanes immediately took up the challenge, also live on "It's Showtime." He nominated his three kids to do it on a video, the birthday boy Jhong Hilario and the lovers Billy Crawford and Coleen Garcia. 'Vice Ganda Ice Bucket Challenge' instantly became top trending topic on micro-blogging site Twitter Monday afternoon. Manila, Philippines - After 120 days of staying inside the Big Brother house, 'Hunk of the World ng Makati' Daniel Matsunaga bagged the Pinoy Big Brother (PBB) All In Big Winner title. With a runaway net percentage of votes (11.69%), the 25-year-old model-actor could not believe he was the last housemate standing during the Big Night held at the Resorts World Manila in Pasay City on Sunday, August 24, 2014. Daniel, as this season’s winner, took home one million pesos, an Asian tour for two, a brand new 30 square-meter condominium unit at the Amaia Steps Novaliches in Brgy. 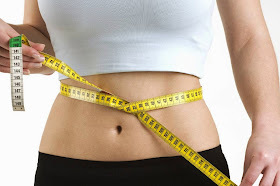 Novaliches, Quezon City and two business franchises. The model turned actor told the crowd: "People think na hindi ako Filipino but I am so much more proud to be a Filipino in heart than many others out there na hindi proud sa country. I am a true Filipino." The 'Singing Sunshine ng Davao' Maris Racal came in second place (3.1 percent net votes), while 'Rising Celebriteen ng Pasig' Jane Oineza was declared third (-0.73 percent net votes). 'Lady Mahinhin ng Bacolod' Vickie Rushton was named fourth Big Placer (-0.78 percent net votes). Maris, Jane and Vickie will receive five hundred thousand, three hundred thousand and two hundred thousand pesos, respectively. 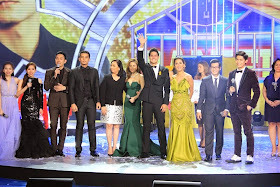 The four remaining housemates on the last day of the reality show had faced the verdict of the public through the ‘vote to save’ (BBS) and ‘vote to evict' (BBE). As the show started on Sunday, partial and real-time percentage of votes was revealed for the four housemates identified as Housemate K, U, Y and A. For BBS, they got 22.58%, 16.65%, 11.33% and 3.65% respectively. Meanwhile, BBE shows -16.14%, -7.59%, -14.16% and -7.90% of votes. Partial result was Housemate K got 6.27%, U got 9.14%, Y has -2.74%, and A received a net of -4.19% of votes. On Saturday, Big Brother gave the 4 remaining housemates a celebration party dinner in Kuya's yacht. The Big 4 has left the yellow and blue house as part of their journey before the Big Night. The Big Night was attended by Big Brother’s ex-housemates from the current and previous seasons of the show. PBB Double Up Big Winner Melai Cantiveros announced the 4th Big Placer while Teen Big Winner Kim Chiu announced the 3rd Big Placer. Channel Head for ABS-CBN Cory Vidanes officially declared the 2nd Placer as well as the 2014 Big Winner. The Big Night of PBB on Sunday dominated online conversations with '#PBBTheBigNight', 'Joj and Jai', 'PBB Future Housemate', 'Go Loisa for Big 5', 'Turtle Song', 'Housemate U', 'Si Cory Vidanes' and 'Pinoy Ako' topped Twitter trending list. The Big Night was hosted by Robi Domingo, John Prats, Bianca Gonzales and Toni Gonzaga. 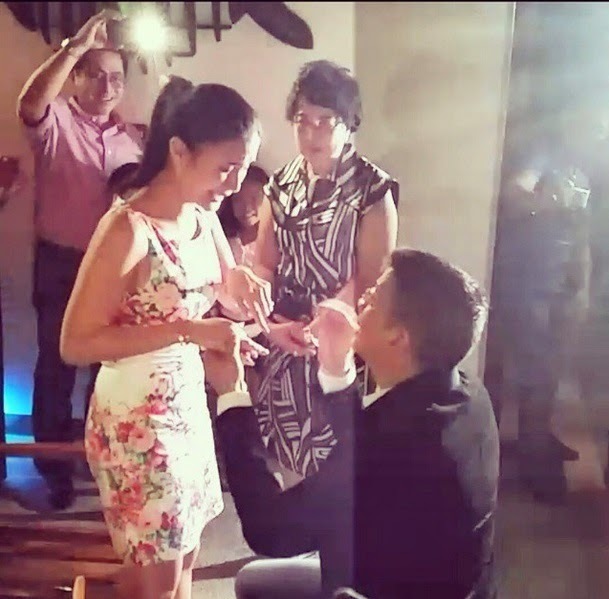 Manila, Philippines - Senator Chiz Escudero and model-actress Heart Evangelista are now officially engaged. News about the proposal was broke on social media Saturday night. Photos, video and latest updates for the happy occasion are available on this webpage. 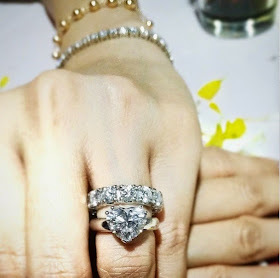 Indonesian make-up artist Albert Kurniawan shared on Instagram some photos of Escudero down on one knee and seemingly handing Evangelista an engagement ring. 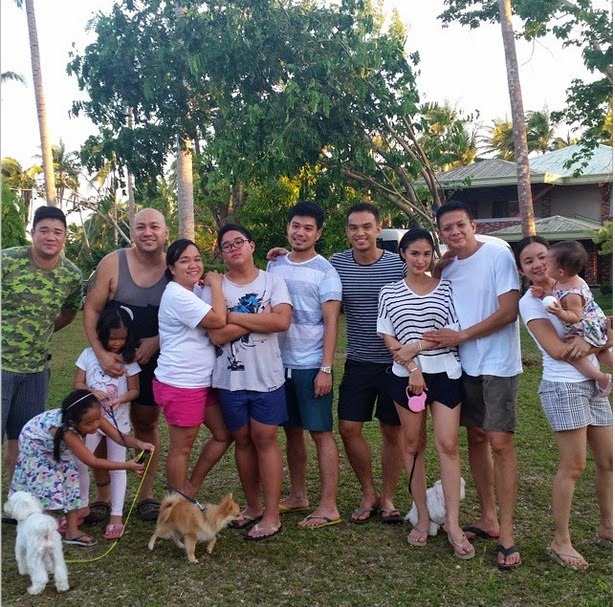 "Congrats Heart and Chiz...yey.. they're engaged na :)," Kurniawan said. Kurniawan also posted on his Instagram a closer look of Heart's engagement ring, captioned: "Beautiful promise ring and even more beautiful engagement ring :):) @iamhearte congrats #heartandchiz." An Instagram user @ohkkaye said: "congrats! You deserve the happiness. All of us at home are very happy for you. Hanggang bash na lang mga haters but they will never be as happy as you do . I'm such a fan since gmik days. Will support you all the way. Congrats again, future First Lady! :)." Best wishes to my friends, Heart and Chiz. Keep in touch. Hahaha. Heart travelled in Sorsogon on Thursday, August 21 with special someone Chiz Escudero and her other friends for a vacation. The senator has been married before and has twins with his ex-wife Christine. They separated in 2010 and were annulled in 2012. 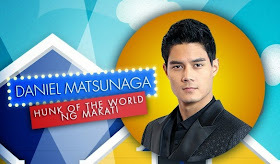 Evangelista, on the other hand, broke up with model and now PBB housemate Daniel Matsunaga in 2012. She has since been with Escudero for almost 2 years.